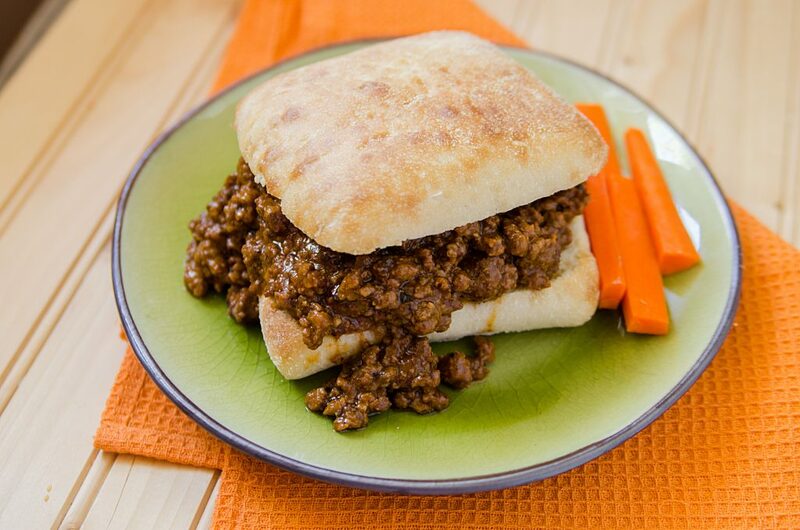 This is hands down the best slow cooker Crock Pot Sloppy Joes Recipe ever! It is an easy to make homemade recipe that will have everyone who loves a little spice in their life coming back for more! You can make these spicy or mild depending on your preference. 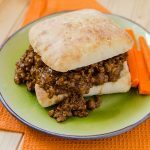 I love how easy it is to make sloppy joes in the crock pot and this makes for a great recipe for football parties, family meals or a guys night in. If you are looking for other easy recipes check out these Grilled Italian Sausages with Seasoned Onions! So easy to make and they taste amazing! We also have this delicious Slow Cooker Beef Lasagna Recipe that is so dang good! Make sure and pin this recipe so you can easily find it when you want to make it again! 1. In a frying pan, brown the beef and onions together. While the beef is cooking, add the chili powder, dried chili flakes, garlic powder and salt and pepper. 3. Cook on low for 4 – 5 hours. Watch the mixture as it cooks, and add water to the mix if it seems to be getting a bit thick. 4. 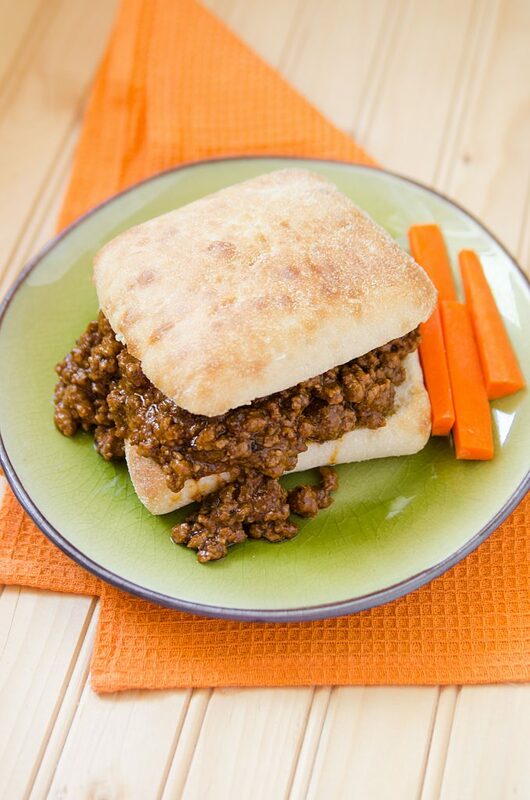 After cooking time is complete, toast buns and put the mixture on top of the bread. You can also garnish it with shredded cheese if you prefer. You can easily change the spiciness of this recipe by lowering the amount of dried chili flakes and chili powder that you use. Check out my Pinterest page to see all of the recipes we have shared on the blog! 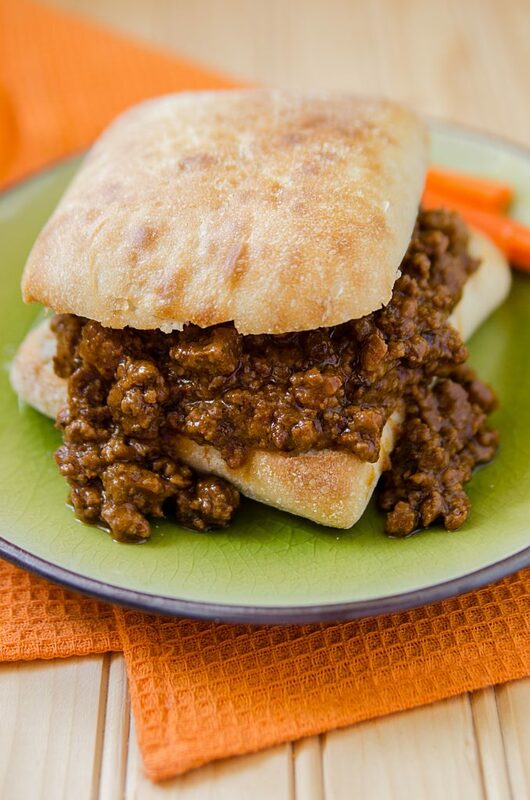 Delicious Slow Cooker Crock Pot Sloppy Joes Recipe from ParkRangerJohn.com! In a frying pan, brown the beef and onions together. While the beef is cooking, add the chili powder, dried chili flakes, garlic powder and salt and pepper. Cook on low for 4 – 5 hours. Watch the mixture as it cooks, and add water to the mix if it seems to be getting a bit thick. After cooking time is complete, toast buns and put the mixture on top of the bread. You can also garnish it with shredded cheese if you prefer. You can easily change the spiciness of this recipe by varying the amount of dried chili flakes and chili powder.